Danny Philpott was born near Baltimore, Maryland but grew up in the coalfields of the Appalachian mountains in southern West Virginia. He is an honorably discharged Vietnam era veteran of the U.S. Army, having enlisted in the military at the age of seventeen. After military service he attended and graduated from the West Virginia Institute of Technology in Montgomery, WV with a Bachelor of Science in Public Service with minors in Economics, Sociology and Political Science. Mr. Philpott has held positions in non-profit, public interest organizations, government agencies as well as private industry. He has been an area resident (Port Orange) and businessman for more than twenty years. Mr. Philpott is a 2005 graduate of Florida A&M University School of Law in Orlando. After receiving his law degree Mr. Philpott worked as an Assistant State Attorney in Volusia County. He began his legal career in the misdemeanor division of the Deland office, prosecuting crimes in county court such as DUI, cannabis possession, worthless checks, domestic violence, simple battery, petit theft and driving license violations. After six months in the misdemeanor division he was transferred to the felony division where he prosecuted crimes such as felony DUI and drug cases, burglaries, grand theft, credit card fraud and fraud against public agencies to name a few. 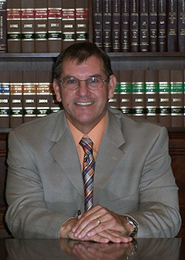 Mr. Philpott is a member of the Florida bar, and is licensed to practice law in all Florida state courts as well as the U.S Middle District of Florida federal court.